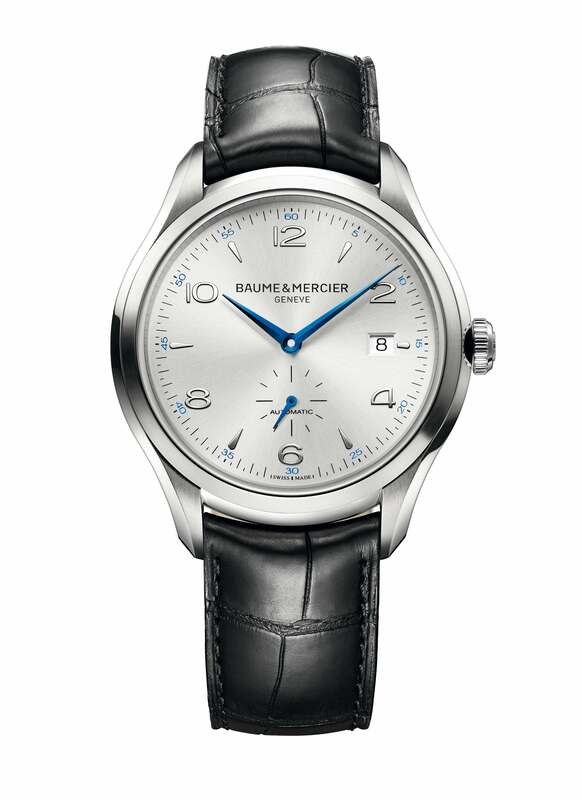 Baume & Mercier’s Clifton vs. The rumours are true: one can pick out very decent deals amid the top-dollar tickers brandished at the annual Swiss watch fairs. To save you the legwork, we’ve sussed out two of the handsomest and most wallet-friendly models from the 2013 Geneva watch fairs. In one corner is the 1950s-inspired Clifton Automatic in stainless steel, which hails from Baume & Mercier’s latest men’s collection. In the other corner, we have Montblanc’s Star Date Automatic, also in stainless steel but flaunting a slightly more antiquated style. 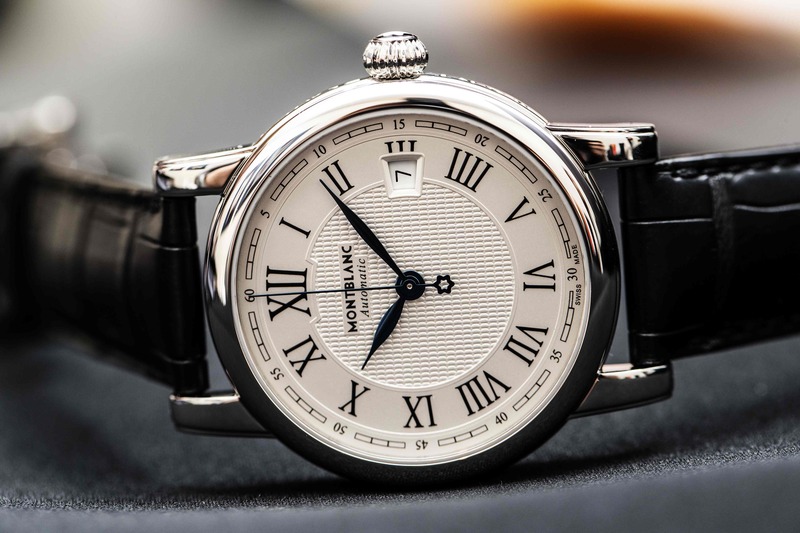 The last we checked, both watches retail at slightly below S$4,000 (US$3,230) — a top draw considering the prestige and pedigree of both brands. So how do they measure up? Going by mechanical engines alone, the Star Date Automatic nicks it — but only just. The clincher here is functionality. Montblanc’s roll-out comes with an additional date display, which is more useful compared to the small seconds counter on Baume & Mercier’s Clifton Automatic. With regards to mechanical provenance, both watches’ movements are sourced from external suppliers — the Star Date Automatic’s Caliber 4810 is based on the ETA 2892, while the Clifton Automatic is driven by the Sellita SW260-1. Again, the Star Date Automatic has a slight edge with 42-hour power reserve, compared to the latter’s 38 hours. It must be said though, the decoration on the Clifton Automatic’s movement is more stunning, featuring circular grained bridges, black and rhodium-plated screws and a rotor lavished with snailed engraving and Côtes de Genève. Looks-wise, both watches attempt to entice with old-world charm, featuring timeless round cases and refined design. The Star Date Automatic evokes 18th century style with Roman numerals, a discreet minute track and onion-shaped crown reminiscent of old pocket watches. The Clifton Automatic, on the other hand, makes a direct reference to a 1950s model in Baume & Mercier’s archives, bearing a no-fuss and austere disposition reminiscent of timepieces of that era. As a matter of taste, this writer finds the Clifton Automatic’s design more enticing for its versatility. Unlike the Star Date Automatic, which calls for a dressier ensemble for it to work, the Clifton Automatic’s less-is-more demeanour, while classic, allows it to pair swimmingly with either casual or formal get-ups. That said, as entry-level timepieces, both models are great value-for-money backed by solid brand stature. Budding watch enthusiasts and those looking for a business-appropriate gift can’t go far wrong with either.